How to report more than one color scale in EasyMatch QC? With the EasyMatch QC software you can easily display both the L*, a*, b* results and the X, Y, Z data that your client is requesting. 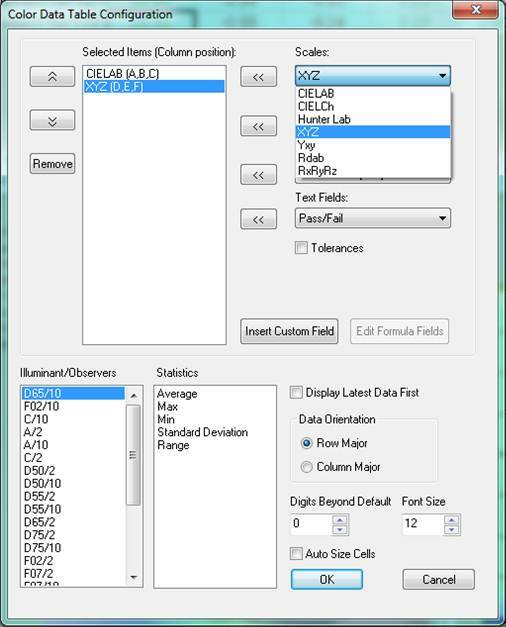 To do this you will need to change the configuration of the Color Data Table. This is the table that displays your samples and their L*, a*, b* color values. 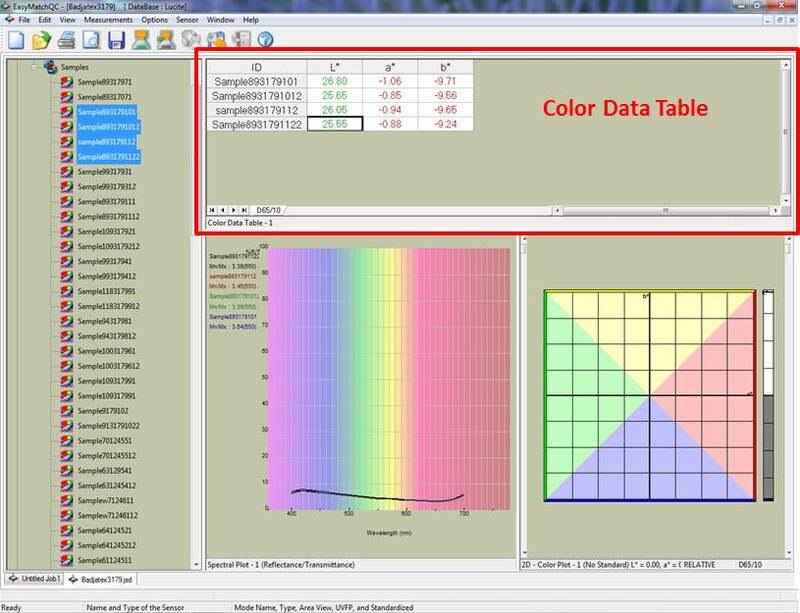 The screen shot below shows where the Color Data Table is usually located in the EasyMatch QC software. Right click in the Color Data Table area and select Configure. A new window will open (a screen shot of this window is shown below.) To add the X, Y, Z color scale to the data reported, use the drop down menu under Scales to select X, Y, Z. Once X, Y, Z is selected use the left arrows (<<) next to the Scales to move your selection over to the left side of the window under Selected Items. Click OK to save your changes and your Color Data Table will now display both the L*, a*, b* and the X, Y, Z scale.